Spring might arrive any minute, but we’re already looking forward to F/W ’19. It’s never too early to start planning your fashion purchases for the upcoming season, or even placing pre-orders for your favourite pieces—after all, fall deliveries can start as early as July or August, and ordering ahead ensures that your must-have items will be produced in your size and colours of choice. 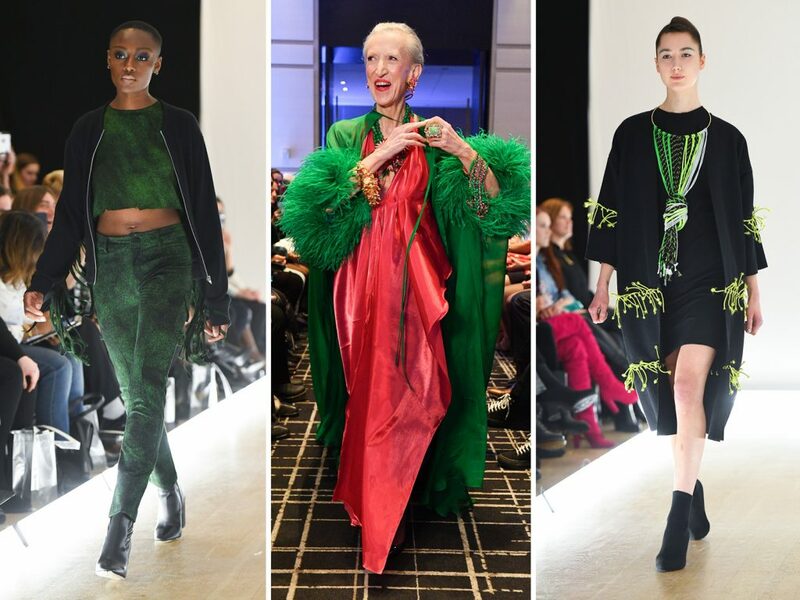 Read on for the top trends spotted at Toronto Fashion Week x RE\SET for Fall 2019, plus why you’ll want them in your closet ASAP. Feathers and fringe are the go-to embellishments of choice for day and night. Zoran Dobric featured both extra-long silk fringe and more utilitarian threads on his futuristic, art-inspired designs, while fringe-like feathers appeared on the luxurious runway at ZOFF x Alan Anderson as the ultimate accompaniment to eveningwear fabrics and oversized gems. For maximum impact, look for pieces with colourful, dramatic fringe details that can’t help but stand out from the crowd. Rock ‘N Karma, ZOFF x Alan Anderson, Zoran Dobric. Bright white is an important trend for both casual and formal garments, especially when worn from head to toe. 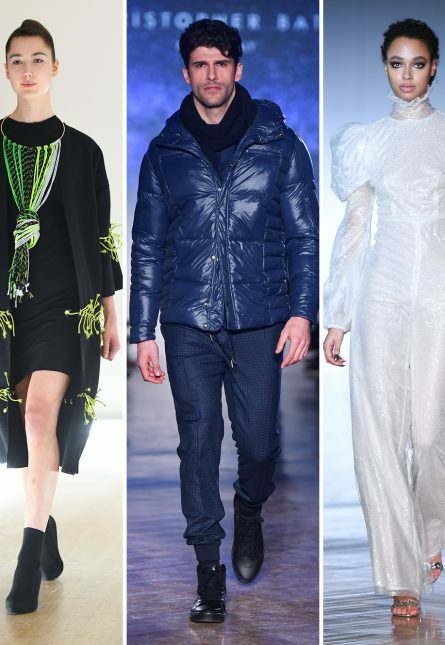 We spotted the trend at a number of F/W ’19 shows, including Narces, Mani Jassal, Thomas Bálint, Michi, and Bübl x David Dixon. The common threads? 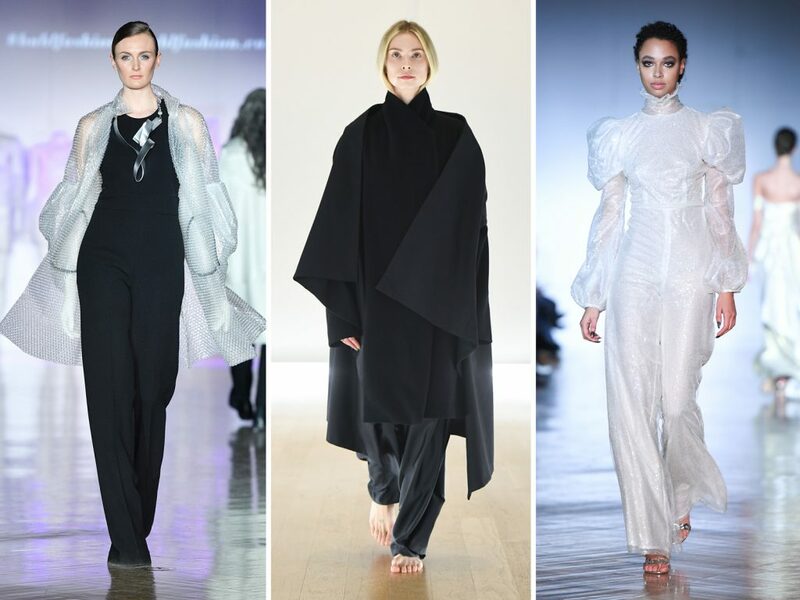 An emphasis on shimmer and texture, interesting folds and cutouts, and the incorporation of semi-sheer and lightweight fabrics that add a dreamy quality to each look. David Dixon, Thomas Balint, Michi. Patent is the major texture for fall, in both real and faux leather. From classic black to unexpected shades of red and yellow, high-shine textiles made an appearance at shows by Mikhael Kale, Pedram Karimi x Process Visual, and Hilary MacMillan. To pull off this look in real life, judiciously mix your edgy patent pieces with cozier, natural-fibre textures such as wool and silk in one multi-layered look. Hilary Macmillan, Pedram Karimi x Process Visual. Quilted, insulated outerwear is always a must for the winter season. 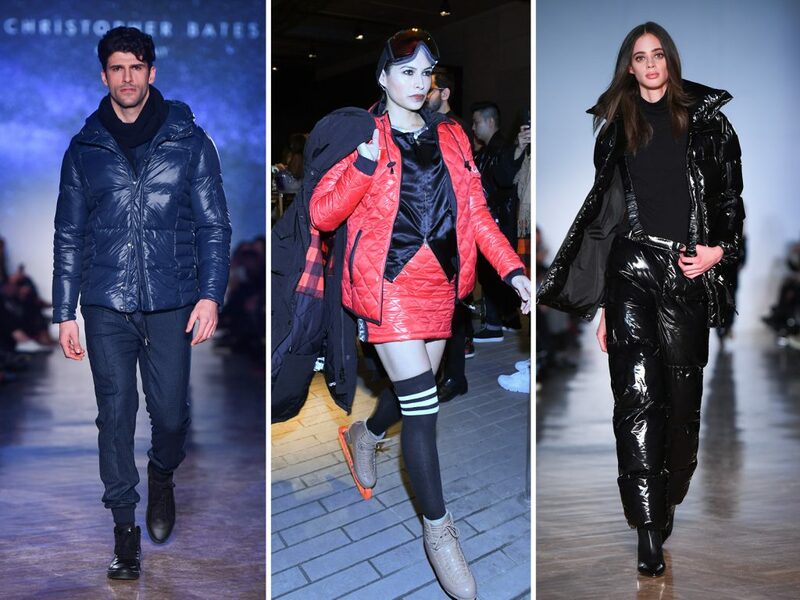 At Wuxly and Hilary MacMillan, the focus is on vegan-friendly and cruelty-free designs, while Christopher Bates’ menswear designs boast luxe fabrics and Italian construction, and Mikhael Kale’s white puffer coat is both edgy and athletic. Meanwhile, more muted colours like black and navy ruled on the runway when it comes to insulated outerwear. Add depth through shine, fashion-forward shapes and interesting surface textures. Christopher Bates, Wuxly, Hilary MacMillan. For both men and women, the wide-leg trouser might very well be the key cut of the moment. 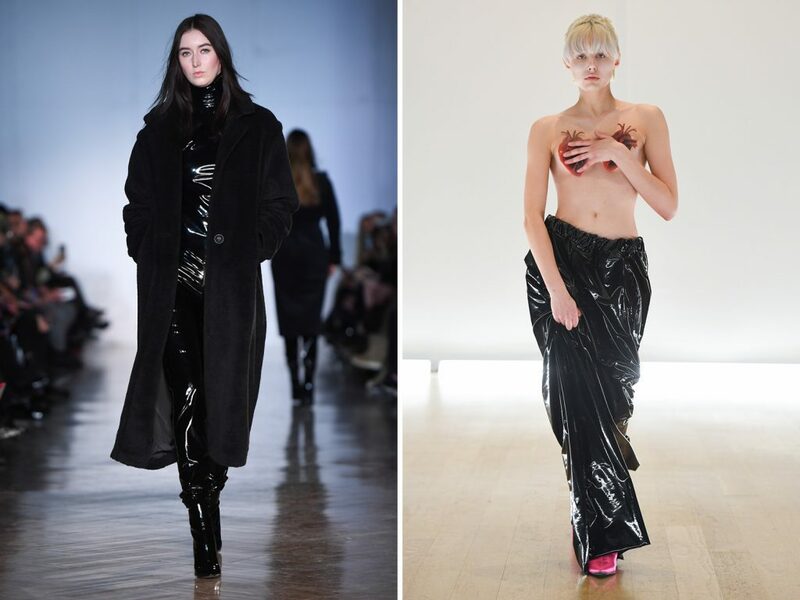 A wide-leg jumpsuit was shown at Narces, while compelling takes on loose, flowing pants were presented at shows including Pedram Karimi x Process Visual, Kiki de Montparnasse, WRKDEPT, and Bübl x David Dixon. Anything but sloppy, these wide-leg pants are meticulously tailored, and designed to skim the floor, with or without heels. David Dixon, Pedram Karimi x Process Visual, Narces.